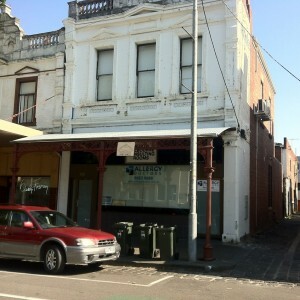 This is a Victorian two storey corner commercial building in Nelson Place, Williamstown. 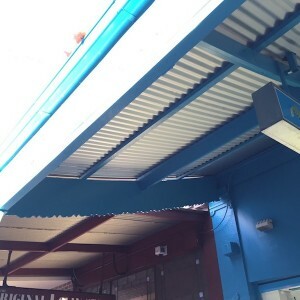 The VHRF Committee of Management agreed to offer a grant of $10,000 for final works to reinstate the verandah including roofing and guttering. 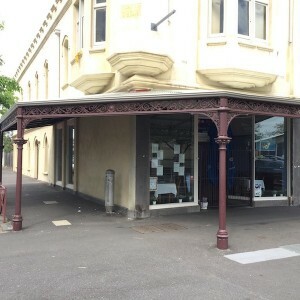 The reinstated verandah greatly enhances the building and the Nelson Place streetscape. The façade of the building has also been restored greatly improving the appearance of the building. This is a row of three, three storey terraces, which originally had pediments to the parapet and cast iron frieze and balustrade to the balconies and corbelling and urns to the wing walls. 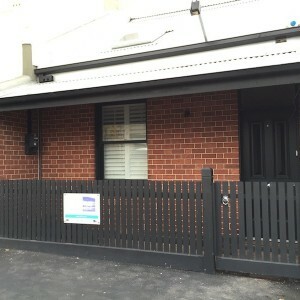 The terrace at 199 Drummond Street is the most altered and has been re-styled in circa 1950. 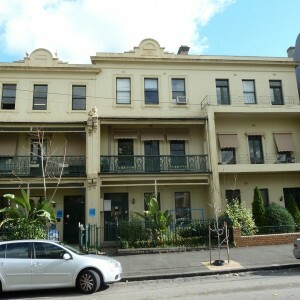 The owners were proposing a suite of works to return the terraces to their original Victorian appearance. The works were based on historical research and documentation prepared by Andronas Conservation Architects. 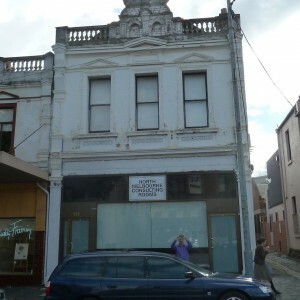 In June 2014 the VHRF Committee agreed to offer a grant of $8,500 towards render works, involving the replacement of urns, pediments and corbels to the parapet. 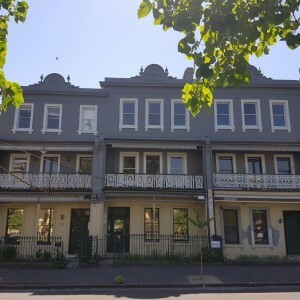 These works as well as other works being undertaken by the owners have greatly improved the appearance of the row of terraces and returned them to their original Victorian appearance in this significant Drummond Street streetscape. 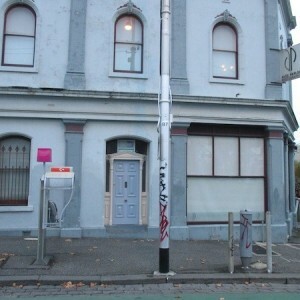 In November 2014, the VHRF Committee of Management agreed to offer a grant of $3,000 towards the cost of original door reinstatement to the corner building of the Abbotsford Street terrace. 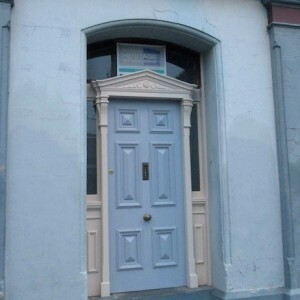 The works involved new panels and sidelights, panel timber door and decorative timber pediment above the door to match others in the row of Glendalough Terrace. The door reinstatement has been completed to a high standard and matches those on the adjoining terraces. 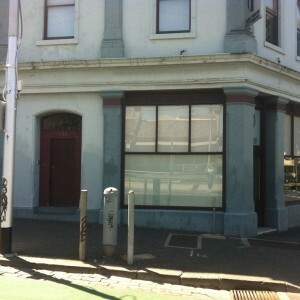 The reinstated door improves the streetscape appearance of the building. 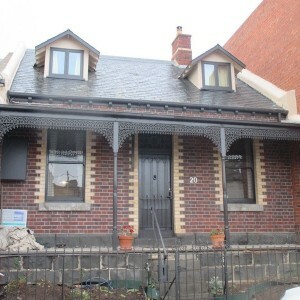 This is a double fronted bi-chrome Victorian brick residence located close to the street frontage. 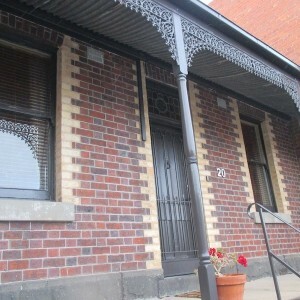 The building features arched windows with cream brick quoins to the openings and corners, a cast iron palisade fence and a cast iron verandah. There was evidence of former tuckpointing to the front, which was in a visibly deteriorated condition. 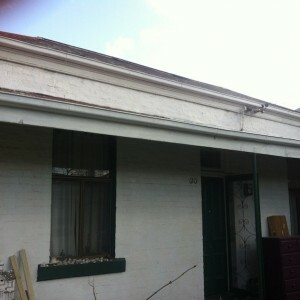 There was also visibly deteriorated mortar and some unsightly cement rich repairs that required removal and repointing. 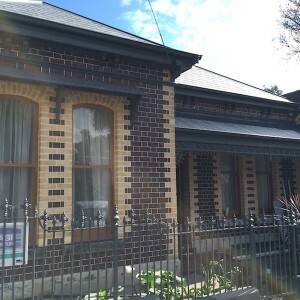 In February 2015, the VHRF Committee of Management agreed to offer a grant of $6,500 towards the cost of re-tuckpointing the front façade of the property. The work was undertaken during June and July 2016. The works involved re-mortaring and tuck pointing the front elevation. Given the building is close to the street tuck pointing of the façade has greatly improved the streetscape appearance of the property. In June 2014, the VHRF Committee of Management offered a grant of $12,000 towards the reinstatement of the cast iron verandah. 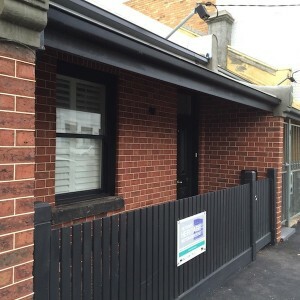 The verandah design, which has been approved by the City of Melbourne is of a standard North Melbourne type already applied to a number of commercial buildings in the area. 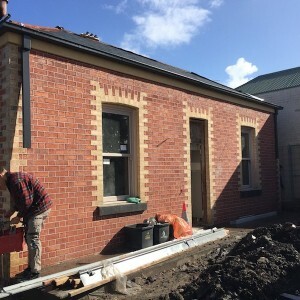 The verandah reinstatement works greatly enhances the presentation of this building and contributes to improving the heritage appearance of the Queensberry Street streetscape. 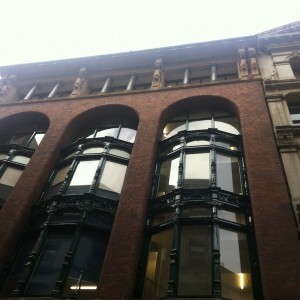 Ross House is the remaining section of an extensive six storey brick warehouse which extended from Flinders Street to Flinders Lane and which was erected in 1898-1900. Ross House, which was named Royston House in 1929 following its acquisition and conversion to offices by the State Electricity Commission of Victoria, has been maintained intact externally, although the basement and ground floor to the Manchester Lane elevation were reconstructed with reinforced concrete in the 1930s. Ross House is architecturally significant as a transitional and highly unusual design incorporating ideas from the American Romanesque style developed by HH Richardson in America. The massiveness of the plinth, the huge Romanesque brick arches and the overhanging cornice is offset by the delicacy of the metal oriel windows and the caryatides. Ross House also demonstrates early design concerns for specific fire prevention measures in multi-storey buildings, such as the sprinkler system and fireproof doors. The recessing of the oriel windows was a fire prevention measure adopted from England. 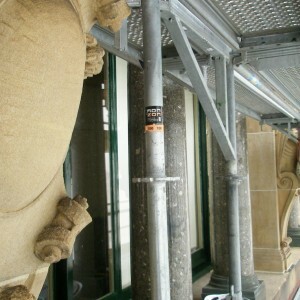 In March 2014 the VHRF Committee of Management offered a grant of $20,000 to assist with façade works to Ross House, which consisted of repairs to northern and western facades including cleaning and repairing damaged sandstone, lead flashing to projecting cornices and detail work to ornamentation. 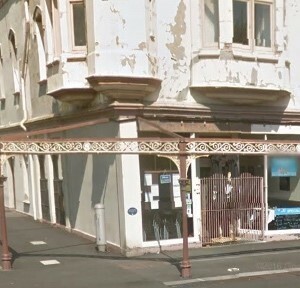 In June 2014, the VHRF Committee of Management agreed to offer a grant of $4,000 towards the cost of paint removal and tuckpointing of the front façade at this property. There was evidence that tuckpoining was intact under the paintwork. The paint removal has revealed the bi-colour brickwork, which has been further enhanced by the touching up of the tuckpointing. 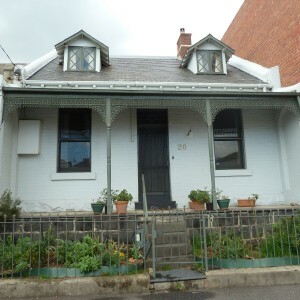 This is one of a pair of simply designed single story terraces built circa 1877. There was evidence of former tuck pointing to the front, which was in a visibly deteriorated condition. 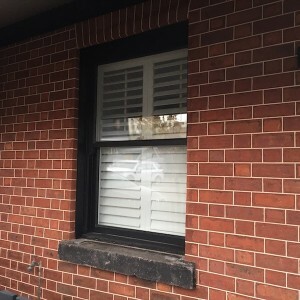 In November 2015, the VHRF Committee of Management agreed to offer a grant of $11,000 towards the cost of brick repairs, sill reinstatement and re-tuckpointing of the front façade at this property. The works have lifted the appearance of this building as viewed from the street. The front façade has been fully restored to its original appearance and condition. 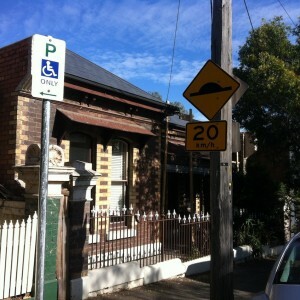 This is a double fronted, detached brick Victorian terrace house. There was evidence of former tuck pointing to the front, which was in a visibly deteriorated condition. In August 2015, the VHRF Committee of Management agreed to offer a grant of $5,000 towards the cost of re-tuckpointing the front façade at this property. The work has revealed and enhanced the bi-chrome brickwork and has greatly improved the streetscape appearance of the building. 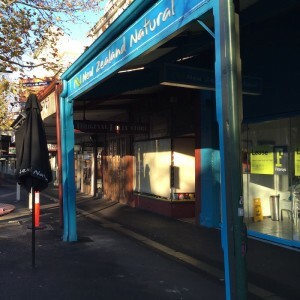 This is a single story Victorian Shop in the main shopping precinct in Lygon Street, Carlton. 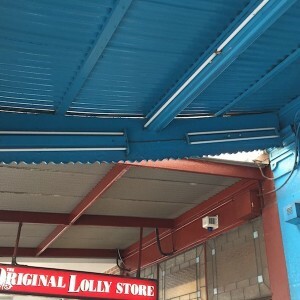 It has a tall rendered parapet with decoration matching the adjacent shop. 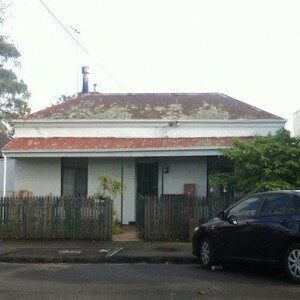 The verandah to the front is simple with timber posts and a deep timber fascia. It also has the original timber valence on the side. 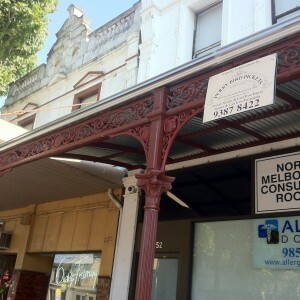 The timber verandah is a rare surviving original example in Lygon Street. 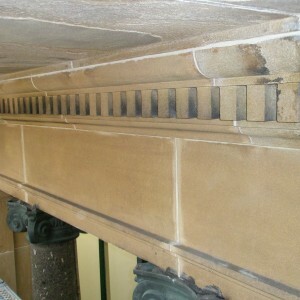 The structure of the verandah was compromised by age and the deterioration of one of the original posts. The VHRF Committee offered a grant of $8,000 towards the cost of reconstruction and repair works to the verandah. 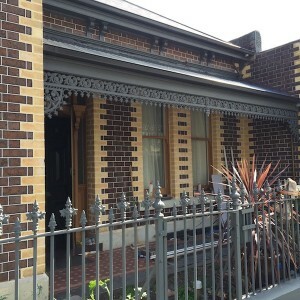 The works have retained as much original fabric as possible and retained the original appearance so the verandah remains as an early intact example of a timber verandah in Lygon Street.